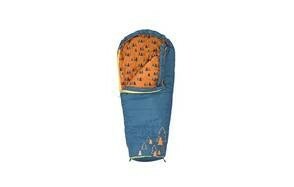 Shape - Since kids aren’t going to need high performance specialty bags kids sleeping bags fall into two basic design categories: rectangular and mummy. The rectangular bags are most often associated with warm weather camping while the mummy bag is designed for optimal heat retention when the weather gets cool. 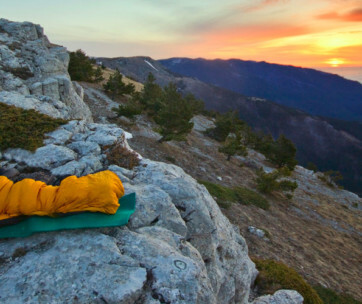 Materials - The insulation in kids sleeping bags is generally not as high-tech as you’ll find in serious mountaineering bags and it doesn’t have to be. Typically, sleeping bag insulation is synthetic, doesn’t absorb water and is quilted to prevent it from bunching up over time. The outside of the kids sleeping bag is usually made of taffeta or some other durable material that will stand the rigors of the campsite over a period of years. 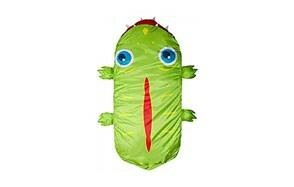 Size - You don’t want to get a kids sleeping bag that’s so big your 5 year old will get lost in it. At the same time you’ll want one they can grow into to some extent. A bag that’s too big will not only be extra weight you’re carrying around for no reason it will also do a less efficient job of retaining heat. Weight - Chances are that most of the time you’re not going to be marching miles into the woods with your 6 year old. Therefore the weight of the bag won’t be a major consideration. That said, the typical kids sleeping bag weighs in between 2.5 and 3 pounds with some a bit heavier and other a bit lighter. Again though, if you’re driving into the campsite and setting up next to the car the weight of the bag isn’t going to matter. 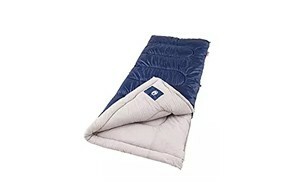 Temperature rating - As we noted at the beginning of this review guide the ratings for kids sleeping bags are a bit questionable so when you read that a bag is rated to 20 degrees take it with a grain of salt and bring extra blankets if you anticipate the temperature dropping that far. It’s a classic case of better safe than sorry. Design/style - Some kids love bright colorful designs, other kids not so much. Keep in mind who the bag is for before committing to a style that may turn a particular child off. It can also be extremely useful if the kids sleeping bag has a built in pillow or at least extra padding in the head area. Zippers - Because kids tend to be impatient with things like zippers it’s crucial that the kids sleeping bag you purchase have snag-free zippers built in. If it doesn’t and your child catches the bag material firmly in the zipper it could tear the shell compromising the insulation, make it impossible to close the bag entirely or even render the bag completely useless. Intended use - Do you take the kids with you every time you venture into the wild? If so you’re going to want to put cutesy considerations on the back burner and get a kids sleeping bag or bags that emphasize performance. If, on the other hand, you want a bag your youngster can use primarily for weekend summer camping at the beach or sleepovers performance factors can take a back seat to appearance. Price - While there are always exceptions to the rule for the most part the majority of kids sleeping bags can be had for less than $100. In fact a fair number of bags of quite high quality can be had for less than $30. But why are kids sleeping bags so affordable when so many adult bags can easily run $300-$500 and even more? Mostly because kids aren’t going to be exposing themselves to the kind of extreme environments adult mountaineers will. 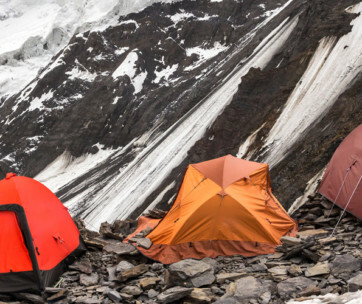 Mountain climbers need state-of-the-art designs and materials to survive in the world’s death zones. Your child by contrast will just need something to keep them warm when things get chilly in the campground. We hope you find the above reviews and buyer’s guide information useful in determining which child’s sleeping bag is best for your youngster and be sure to check back on a regular basis for more product reviews from gearhungry.com.